Article by guest author, C. Andi Locke Mears. Summer is fast approaching. It is a time when I see fear rampant on the beach in the form of slathering chemicals on our children’s skin or covering them from head to toe. We don’t want them to get cancer from the sun, do we?? So we do our due diligence and cover ourselves and our children with whatever our conscience allows. But what if the sun really doesn’t cause skin cancer? Oh, I know we’ve been told for years that the depletion of the ozone layer decreases our atmosphere’s natural protection from the sun’s supposedly “harmful” ultraviolet (UV) rays. We’ve been told that these rays damage the skin’s cellular DNA which then produce genetic mutations that can lead to skin cancer. And of course the US Department of Health and Human Services and the World Health Organization both have identified UV light as a proven human carcinogen. The CDC even tells us a few serious sunburns can increase your child’s risk of getting skin cancer. Pretty scary stuff, huh? No wonder we cover ourselves and our children with chemicals or clothing – we’d be a fool not to! I, too, used to believe this until I learned German New Medicine and learned that the sun doesn’t cause cancer. GNM is a new science of medicine based on Five Biological Laws discovered by Dr. Ryke Geerd Hamer over 35 years ago. The Five Biological laws explain the cause, the development, and the natural healing of “diseases” in all living beings 100% of the time. Sandrine’s note: For further reading, please see A New View of Cancer — German New Medicine posted by Dr. Mercola. GNM allows us to see symptoms and diseases in a different light. It teaches us that cancer is not caused by malfunctions or malignancies but is instead a natural biological program that assists an individual during unexpected emotional distress. GNM correctly links our psyche, brain, and organ – a true mind/body science that is verifiable in brain CT scans. A whole new world opened for me when I learned GNM. I had to adjust how and when I used each modality in my wellness center from herbs to homeopathy to nutrition, colon hydrotherapy and detoxing. I found I was able to assist clients with much greater success because I knew what was occurring in their body, why it was occurring, and what to do to help it. And I teach it to every client so they, too, can understand their bodies better and get out of fear. So, if the sun doesn’t cause what is known as “skin cancer,” then what does? According to GNM, it is caused by what our psyche perceives as an “attack” against the skin, which, incidentally, can include a sunburn. feeling soiled such as when the skin comes into contact with something we perceive is disgusting, filthy or repellent. We are hardwired for survival and Dr. Hamer discovered our brain is the conductor of the entire orchestra of cells, organs, hormones, tissues, etc. Thus, when any of these “attacks” occur, our brain instantly sends out the signal to our skin to grow extra cells at the site of the “attack” for the sole purpose of protection. There is no blame here nor are we a victim – our brain is simply taking care of us. With GNM, we now have the knowledge that enables us to understand bodies and support them much more effectively. When we’re no longer feeling attacked and we’ve resolved the issue, very specific microbes are “turned on” with the sole purpose of breaking down the extra cells. The extra cells will change color, size and texture during what we call a “healing phase.” This is a normal and natural process yet unfortunately is often deemed as malignant and dangerous. There’s that fear again. And, incidentally, if you’ve ever had acne, you’ve already experienced a lesser “attack” issue. What this means is that when we receive a diagnosis of “skin cancer,” we’re already in a healing phase from the attack. Ponder that for a few minutes. What if we had no fear of skin cancer anymore because we recognize our body’s innate wisdom is already taking care of us better than anyone or anything else? So, do we throw all caution to the wind and allow ourselves and our children to get sunburned? Of course not. The sun is capable of causing oxidative stress that a healthy body can generally repair easily particularly if the person acclimates to the sun slowly and eats a nutrient-dense diet to stay strong. I still advise people to cover up with direct skin exposure if they haven’t first acclimated to the sun, and even then, it may be prudent to be covered for some amount of time. For children, start with and exposure of 2-10 minutes of direct, noon sun and increase this slowly over several weeks. Pick up an article on keeping healthy and it will almost always recommend a generous application of sunscreen to “protect” the skin. This trend has become so widely accepted that some people wear sunscreen every day, even in winter, and slather their children with it before they get dressed, just in case they may come in contact with that dreaded, unnatural substance: sunlight. The list of questionable ingredients in sunscreens include benzophenones (dixoybenzone, oxybenzone), PABA and PABA esters (ethyl dihydroxy propyl PAB, glyceryl PABA, p-aminobenzoic acid, padimate-O or octyl dimethyl PABA), cinnamates (cinoxate, ethylhexyl p-methoxycinnamate, octocrylene, octyl methoxycinnamate), salicylates (ethylhexyl salicylate, homosalate, octyl salicylate), digalloyl trioleate, menthyl anthranilate and avobenzone. Some of the chemicals have been implicated as causing thyroid problems. German researchers found that rats exposed to the sunscreen chemical 4MBC had raised levels of thyroid stimulating hormones and heavier thyroid glands. Another chemical, benzophenone 2, was found to alter thyroid hormone levels, although the effect was reversed by other chemicals present in sunscreens (BBC News, June 10, 2006). In most situations, normal exposure to the sun is beneficial, not harmful, especially if you take care to avoid polyunsaturated oils and trans fats. If you are fair-skinned and find yourself in situations where long exposure to the sun is unavoidable, be sure to cover your torso with a shirt, wear a hat and use a safe sunscreen like zinc oxide on your nose and cheeks. The timeless research of Dr. Weston A. Price taught us a diet rich in Vitamins A, D and K found in healthy fats keeps our bodies strong. Increase pastured lard, butter, raw egg yolks, fermented cod liver oil, high vitamin butter oil, etc. If we have no fear of the sun and are able to quickly downgrade or resolve any real or figurative “attacks” against us, it means … our body will break down those extra cells naturally and if we support our body’s innate ability to do so, it will. Thus, GNM gives us the opportunity and knowledge to understand symptoms and “diseases” differently which may, in turn, change how we react and the choices we make. As FDR is often quoted: “The only thing we have to fear is fear itself.” German New Medicine teaches us how to get out of fear so we can spend more time being present and living life to its fullest. Armstrong, B.K. and A. Kricker, How much melanoma is caused by sun exposure? Melanoma Research, 1993: 3:395-401. Scientific Charat of Germanic New Medicine, Dr. med. Mag. Theol. Ryke Geerd Hamer, 2007; page 44. C. Andi Locke Mears is a German New Medicine Teacher, Certified Whole Health Educator, Nutritionist, and Holistic Health Practitioner. She founded and ran a successful wellness center in Auburn, ME and has currently turned her endeavors to teaching GNM and consulting to the international community. She is also a Chapter Leader with the Weston A. Price Foundation. You may email her at: andi@learninggnm.com. For additional information, please go to her website: www.calmhealthworks.com. For more information about German New Medicine, please visit her teacher’s website: www.learninggnm.com. What has been your strategy for getting benefits of the sun without the potential harm? 67 Responses to What if the sun doesn’t cause skin cancer? Fascinating. I am fair skinned and always slathered sunscreen or shunned the sun. However, when I transitioned to a Weston Price diet rich in traditional fats, I discovered that I could be outside for hours, without sunscreen, and never burn. I believe the damaged industrial fats in margarine and polyunsaturated oils enter the cells and make them reactive, and once they are cleared from the body and replaced by wholesome, natural fats like butter, lard, tallow and coconut oil, we can lose our fear and embrace the sun! Yes, Beth, you are experiencing first hand the impact of having a stronger body from terrific nutrition! We know from GNM that the psyche, brain and body are all one biological unit. Thus, when one is stronger, they are ALL stronger. When we eat a WAPF diet, we (our psyche, brain, and body) are stronger and thus, not only will we have less conflicts, but the healing phase can be much easier. “The energy we gain from a healthy diet makes healing so much easier,” says my teacher, Caroline Markolin. Beth, you went about this all correctly: you eliminated or reduced your fear of the sun AND you strengthened your body. The chances of you experiencing an attack conflict – from the sun, from an angry co-worker, etc.- have decreased. We can’t eliminate conflicts, however, your chances of having a healing phase diagnosed as “melanoma” have also decreased. What would have been “melanoma” may now be a pimple or two because you are stronger. The industrial oils, sugars, processed foods, etc. all decrease the vitality of the body (psyche, brain, body) making it more susceptible to conflicts and to more complicated healing phases. Beth, I have found that many WAPFer’s intuitively understand the connection between “great food” and “healthy.” GNM simply gives you the science behind why this is true. That’s really interesting Beth, that you’ve noticed a difference. I also have fair skin. Here in the UK I don’t need sun lotion, but if I go to a beach at a hotter country I put a bit on if there’s no shade. I like the idea of trying seed oils as natural protection. I eat fairly natural but I will look into the Weston Price diet as well. you know I never thought about those nasty rancid veggie oils getting in the skin cells and causing them to react to the uv rays? i spend hours in the sun the other day and only got a very light red that didnt hurt, except a little twing on my shoulders, I have avoided the veggie oils as much as possible (but not 100 percent, like mayo, ranch dressing when I eat a salad and chipolte sauce from subway which I eat alot of since I love it) but after reading your post I might just strive for that 100% avoidance. my main oil is coconut and real butter and whole milk, cant get raw, darn it, but I get organic since that isthe best I can get. So, let me get this straight…the brain tumor I have (from metastatic melanoma) is the result of a verbal attack I received at some point? That is positively laughable. The SCIENCE had proven, time and time again that UV rays from the sun and especially those coffin-like tanning beds DO cause melanoma and ARE KILLING PEOPLE at the rate if one person every hour. Do none of you see the correlation in the huge increase in the use of tanning beds over the last few decades and the exponential increase in the number of melanoma diagnoses? If you choose not to see that, that’s your right. Maybe we’ll meet at whatever cancer treatment center you or your children end up at. Hi Donna and thank you for your comment! You don’t have to believe a word I say; German New Medicine does not require belief. It is biologically based; not thought based. What allopathic medicine calls a “brain tumor” is actually the second and final phase of healing. This would have been obvious to a GNM knowledgeable doctor who could have seen a CT scan of your brain at the time of this diagnosis. Truly, just play with it in your own life. It can’t hurt and it can bring you a lifetime of knowledge about your body and your health. do you mean 40,000? if 40 million die every year in car wrecks this country would be empty of people in like 10 years, wow, that would be aweful.my grandfather at the age of about 80 developed a skin cancer on his face, it grew from a mole he had all his life, he died 2 years later, he did not take chemo, he did allow the doctor to remove the black thing on his face. he didnt smoke, he ate alot of his own produce he grew, he had his own chickens and spent alot of time in his garden in the sun. he wore a hat all the time so maybe the sun was not the culprit don’t know, but I figure when you get that old you are bound to develope something that will kill you anyway if not that heart disease or just plain the body breaking down from age. Thanks, Andi. I have been looking into GNM and find it fascinating. You are correct in saying it is a lot to wrap our heads around but, as I look at my life I see that so much of this is spot on. Maureen, whenever I work with people we develop a timeline between the uncomfortable events in their life and the development of their symptoms (which usually means they are healing). It is truly uncanny to see the correlations. I am one of those people where I really doubt until I have absolutely proof. With GNM, it didn’t take long; it was so clear for me and for most of my clients. Well, it does sound weird, but science has proven that the mental and physiological response are inextricably linked, and you are just saying they are way more linked than we know. Interesting. Also, I’ve read research (and articles by Chris Kresser and others) that chemical sunscreens are way more correlated with skin cancer than the sun is. Nutrition and anti-oxidants definitely play a role in preventing sunburn–I was reading about algae-based astaxanthin supplements that prevent sunburn when taken internally. You are correct, Leah – not only is there a lot more going on in our brains than we think there is but they are also intimately linked to our psyches (emotional/mental processes) and to every part of our bodies. It takes the Louise Hay-type information to an entirely different level. There is truly nothing to fear; our brain is always taking care of us because they/we are hard-wired for survival. I also have experienced the healthy effect of a whole foods diet and reasonable sun exposure. People need to know that processed food and lack of Vit D causes many illnesses. I have known for many years that I am allergic to/intolerant of foods (symptoms are upper-respiratory) that I overexposed myself to during college – a time of much stress. It was my body’s way of reacting to the stress, apparently in place of causing a cancer. Does something prevent the body from going through the healing phase? Thank you for your comment, Michelle. Let me gently say that processed food and lack of nutrients (we’re not talking starvation, we’re talking about the Standard American Diet) weaken the body; from a GNM perspective they do not cause disease. That being said, because the body is weaker, it is more susceptible to conflicts and complications during the healing phase. The only thing that prevents the healing phase from occurring would be if we never resolved an issue. Our nervous system would NOT be triggered by the brain to begin healing the cell proliferation, cell loss or functional loss that occurred after the conflict shock. I don’t know if any of that makes sense! I have a one hour webinar this Saturday that will explain all the basics. Feel free to check it out if you’d like more information: http://www.calmhealthworks.com/for-clients/calendar.html. Interestingly, I did a search for this topic, and was directed to Mercola’s site. Tried to access both links that he provided, one to the German Website, and one to GNM PDF, and both had been removed – What is the best way to find information on this? Your best bet is to access complete information – including a full video training – is through my teacher’s website: http://www.learninggnm.com. was removed & studied. Thanking the Lord for His care! I was completely fascinated by GNM when I head about it too. I stopped wearing sunscreen years ago. I’m mindful of whats going on with my skin and body temp and simply find shade if I get uncomfortable. If I think I might be out in the sun for too long I use sesame seed oil that has a natural spf of 15, but seems to protect beyond that. I also take extra water if I’m going to be out in the sun for extended periods. It’s served me well and haven’t had a bad burn in over 7 years despite spending more time in the sun than ever before. I have just found your site and enjoyed reading this article. I am a homeopath, Reiki Master, yoga practitioner and I am very interested to understand more about GNM. To the people who don’t “buy it” I would just like to ask : What if? Doctors and scientists claim one thing, then something like this comes along and challenges their claims……what if they are so busy defending their claims that they can’t see the possibilities? What if they too are missing it, and thus leading many others to miss it too? So what if, why not, and what have you got to lose really?? Been studying the GNM for some years now and recently ran into Weston A Price’s research. Absolutely amazing that you have brought the two together. Brilliance. I wholeheartedly agree! I lived the first 3 decades of my life in subtropical S. Texas and found out a few years ago during a particularly cold winter in Colorado how powerful the sunshine (or lack thereof) can be. My first (and last) bout with Seasonal Affective Disorder, despite years of a WAP diet and ample fermented Cod Liver Oil, is easy to keep in check so long as I make a concerted effort to take advantage of winter sunshine and frequent mild spells in the cold season to sunbathe outdoors. An hour outdoors soaking up the sun every week or two throughout winter leaves my body and mind nourished with Vitamin D and gives me a nice base coat to continue enjoying our wonderful mountain sunshine throughout the year, without sunscreen or worry. I will go back and do more research on this, but I think what your saying is stress is making us sick, well I knew this for like forever, this method is just a fancy way of saying stress makes you sick, as for cold being the end game of some stress I don’t know, all I know is our bodies always have virus and microbes in them and our sinus defintily are exposed everyday it is called breathing, and when your under stress even positive stress like exercise your not used to, can cause the immune system to break down and give viruses a leg hold. I personally just got over a sinus infection last month I had a fever for 3 days before I went to the doc for anitbiotics, I had been under stress the week before (a positive I was having fun stress)and then got sick. I can’t get overtired or when I near mensus I have to be extra careful to not stress out good or bad and ot take extra sulfer and vitamins because I get sick alot during menses, (not as much as did in past but still getting flare ups from time to time) I am doing better now that I megadosed for a few months on vitad3 and all, I don’t take it anymore, will do so over the winter take a modest dose (read in some studies 5000 iu is pretty safe daily dose) some say don’tgo over 2000 iu, anyway no harm is gained by trying to eat healthier, getting more sunshine, and having more fun and reducing stresses in your life if you can, reduce work hours, learning to say no to demands on your time and energy that sorta thing, and avoid overexercising too. Thank you for your comments! The skin “program” I discussed in the article – and indeed ANY program (“disease”) – are not caused by stress from a German New Medicine perspective. Each program is caused by a conflict shock that impacts in the psyche, the brain and the corresponding organ or tissue. Our brain immediately starts a program to ensure our survival. From a GNM perspective, stress does not impact the nervous system the way a shock does, thus, it does not cause “disease.” Instead, stress, especially chronic stress, depletes the body of vitality so when we experience a shock and the subsequent program, it is more difficult to make it through the healing phase easily. i don’t use sunscreen. it suffocates me. i hate it!! i do have to protect from burning though. i wear long sleeves and long pants. i have been on a NT diet for at least 10 years. i was healthy for most of that time. i have low D levels. about a year and a half ago i was diagnosed with Hashimoto’s; i guess that is why my D is low. i take a D supplement. near the end of last year i had internal bleeding. i lost 3 liters of blood quickly. i had to have a transfusion, and after, they discovered i had a rare kind of tumor originating in my nervous system that came through my stomach. i recently had a partial gastric bypass surgery to take the tumor out. we hoped the bypass could be done laparascoically. they had to cut my andomen open to remove the tumor. it was 4 cm by 4 cm. i feel thankful for conventional medicine. i believe they saved my life twice, once with the transfusion and another with the surgery. i had relief with the tumor gone. lately i have been suffering some of the painful torturous itch that i experienced before surgery. it scares me at times. before i had a tumor, and it is considered malignant, on occasion i wondered if cancer was some kind of protection for the body, and i wondered what the very good reason for this change was. it never seemed like cancer was a good thing.though. i do believe that a heart attack is a cardiac bleed as a protective mechanism. i see it as the body’s “desperate” attemt to save a life, and at the same time it can take that life. hopefullt i doesn’t. please explain to me how this tumor that i had, is my bodied inate wisdom to help me when it seems like it almost killed me. i heard that i died of hypothermia on the operating table, that my organs shut down, that i was saved. they told me this when i shared and asked about my one strange memory of the operating room. i was freezing cold, opened my eyes, saw people and machines, and pulled my knees to my chest. i remembered that and asked what happened. we are not supposed to be able to move or wake up from the anesthesia, and i did just for a few seconds. and, i don’t believe it was the tumor that shut down my organs during surgery but all that surgery entails shut me down and me freezing. Thank you for your comment and for explaining your health issues. There are, indeed, times when conventional medicine can really save us. Sometimes surgery really is the best option; sometimes it isn’t. Every person and every case is different. i look forward to learning more !! All things in moderation. Don’t over do anything. I do think Vitamin D is a must in the body system. Not all people are able to absorb Vitamin D so, in the sun is a good way to get vitamin D but, like I said only in moderation. I have had sunburns even in rainy weather at the beach while laughing & making sandcastles and sun windburns climbing mountains in CA. that don’t show up as fast on the skin. I even had a bad sunburn sitting in full shade. I have been taking Multi-Vitamins & Minerals and all kinds of supplements for years As a child, I was given cod liver oil every night. I eat my veggies and now starting to cut back on red meat unless it is grass fed. Basically I eat healthy. I had melanoma and didn’t even know it. And I thank the doctor’s eye for catching the melanoma in time. I had surgery and it’s been five years now but, just recently I had a pre cancer removed from my nose. I think it has to do with everything sun, food, air, water, and maybe , through time has been messed up by pollution or man and his GMO’s & spraying and whatever else they are messing with to make bigger & better crops. The system is messed up, so our systems are the end result messed up as well. All we can do is eat the best we can by putting real grown foods and no chemicals & GMO’s into our body system & get good sleep and here’s the kick less stress is best! But stress is part of every day life it comes at us in one form or another. I do believe that stress takes some of the sap out of life so to speak. It helps to weaken the whole body system and that’s where the vitamin D and sunshine, and all the vitamin B’s & probiotic supplements help the system. But in all things moderation. I also think that each body is different in how it is going to handle what comes at it or what it takes in or absorbs because we all come from different areas and have different life experiences. What you eat & drink,how you sleep, play & work, what environment surrounds you, and well the list goes on. And what gets passed down in your blood & genes from one generation to the next. We are like a huge Gordian knot that needs picking apart one strand at a time. I also think we have over use antibiotic’s just because it’s what they thought best to do or all they knew to do, so some people like me did what the doctor only knew to do, and now can hardly find an antibiotic that I don’t react too. So I put my trust in God & rest for He knows what’s best. And will guide the doctors & nurse’s & specialist & scientist, naturopaths, chiropractors, researchers, explorers of science in untangling this huge Gordian knot in each individual life, and if God so wills, there will be better & newer discoveries. Beverly, don’t worry about typos! Thanks for sharing your thoughts. Is there any connection between GNM and infertility? This info is great. Do you use coconut oil the same as you use the poison sunscreen crap? GNM & infertility: Several different Biological Programs increase or decrease our hormones which may interfere with becoming pregnant. If the person has a diagnosis, I would definitely investigate GNM for possible answers. This is horrible, dangerous advice. Scientists don’t “claim” things for their own personal benefit – they study EVIDENCE and make conclusions based on the best science available. A “cold” is not CAUSED BY STRESS. Do you know nothing of germ theory or even basic microbiology and immunology? Of course mental condition can influence physiological condition, but if what you were say were true, then every depressed person would have cancer and heart disease and who knows what else. That’s just not how it works. It’s more like being under stress for a long period can lower your immune system’s efficacy and make it harder for your body to fight off a pathogen. Don’t “invite me to ignore” the ridiculous theory that you’re espousing (which is an extremely strange and paper-thin excuse for dealing with criticism for it). This is akin to telling people not to wear seat belts in cars, and it’s awful. Thank you for your comments. You don’t have to believe in GNM, Jessica. No one does. Belief is not required for biological processes that take place below our level of consciousness. I also tell everyone to not believe what I say but instead to take the ideas I explain and test them in their own life. They don’t hurt, they don’t cost anything and they help us understand our triggers and emotional patterns and thus, physical symptoms. Many people feel empowered with the information GNM provides. I invite you to “try it on” for yourself when you feel ready to do so. Jessica, I do not know a lot about GNM, but I do know you have over reacted. First, the “germ theory” is just that – a theory. Even the scientist do not have all the answers. Our bodies and minds are interconnected and way more complex than anyone understands at this time. Even science admits that a large portion of health issues come from stress. At this point we do not know what the mechanism is, but everyone who is exposed to germs do not get sick. Remember that things that were supposedly studied in the past and firmly believed have had newer studies prove they are wrong – think of whether you should eat eggs. A few years ago we were told to stay away from eggs, if possible all together. Now they have decided again that eggs are very good for you and some doctors are suggesting eating eggs several days a week. I would not suggest that you ignore this, but you really can’t make everyone agree on everything. There just are too many of us that do not believe in the “germ theory”. This is the first time I’ve heard of GNM. I am not sure how I feel about this. I think I am going to have to look into this more. Some of the things I read in the article above really struck a cord with me. Some things made me say, “hmm”. But I am definitely intrigued. From my personal experience, with no former knowledge of GNM, I see how what you are saying could be. I have caused myself to get headaches. I have also though away headaches. In the first instance, there were times when I was a teenager that I didn’t want to go somewhere/do something, but I did not want to lie about having a headache. I would think about having a headache until I would finally have such a splitting headache that I had to lay down or would take a pain killer. (I would also do the same with an upset stomach – think it into existence.) Since then, I have turned that around to effectively stop headaches when I occasionally feel them coming on. I concentrate on NOT feeling pain and after a few minutes the pain is significantly lessened or gone. I’ve also thought away ringing in my ears. I picture the ringing sound as an object getting smaller and smaller until it is gone. After times of significant stress, I have had stomach problems. No medical explanation for them, but I could definitely link them to the stress I had undergone. Knowing that, I now work to manage stressful situations better so that my body does not have that negative response afterward. I find this fascinating and can’t wait to learn more! A question that has occurred to me — How does GNM explain what we consider food allergies. I’m talking about someone eating a nut and having an immediate severe, possibly deadly, reaction. Such as a toddler, who does not know to have a fear of nuts. I will definitely have to learn more! I enjoyed reading about how you handled your headaches as a teenagers – and the ringing in your ears and stomach issues. It sounds like you were able to create the conflict shock (which turned the program on) and downgrade/resolve it (which turned the program off) at will. I have done the same thing with restless legs and other similar issues. Cool, huh? Regarding allergies (and any chronic issue such as arthritis, Parkinsons, rashes, etc): they are called a “hanging healing” in GNM. In other words, the healing phase keeps getting interrupted so we don’t make it fully through healing. Something triggers us and we go back to being conflict active (where there are no symptoms) and then we go into the healing phase after the issue is resolved (where there will be symptoms). “Tracks” are laid at the moment of the original conflict shock. The season, the weather, what you’re eating, smelling, drinking, who you are with, etc. are all recorded in the brain. Any one of those can become the trigger that starts the program over again. This is called a track. Think of springtime “allergies.” It means you had a conflict in the springtime that isn’t fully resolved. Your brain picks up on the same weather/seasonal conditions and starts the program again. We are usually pretty unconscious about this which is why the pattern repeats itself every year. It’s the brain trying to keep us safe: it’s reminding us that we had a conflict in the spring time. Same thing with a child: it’s our brain’s perceptions; it isn’t us consciously doing this. I hope this makes sense!! To learn more, I have some inexpensive webinars you can attend (www.calmhealthworks.com), you can also watch my teacher’s tutorials and read a lot more about it at her site (www.learninggnm.com). Sweet merciful crap you people are freaking ridiculous. I truly feel sorry for you unfortunate people that believe this and refuse to see an actual medical professional that will give you sound scientific advice. if the sun/UVB rays/10am-2pm rays are so bad, then why would medical doctors prescribe and use light therapy (aka UVB rays) for healing SKIN diseases? it is done all over the world in conventional medical offices and hospitals!!! it is done according to skin tone and sensitivity just as one should with the regular sun, and it provides healing just like regular sun does, especially the healing UVB rays between 10am and 2pm!!! honestly, sunscreen is for individuals where the benefit outweighs the risk, meaning people who would fair better with chemical intoxication rather than a severe burn because they choose not to get used to the sun gradually and regularly. maybe life is just a little too busy for them to bask in the glory of the sun and want a whole day outdoors in the summer. in that case, by all means, get the best sunscreen you can (which may be a large brimmed hat, long sleeve shirt, and lightweight pants OR a sunscreen with the least amount of chemicals possible) and party!! it’s not that the sun causes cancer, it is that overuse of chemical creams with ingredients known to cause cancer, “overuse” or “improper” use of the sun, and lack of real vitamin D (which consist of multiple types of D, not just the ONE they add to low quality milk) through nutrient dense foods and regular gentle real sun exposure year round. Agreed. The fact that this is all based on an idea that was discovered 35 years ago and is ignoring medical advances made since that time highlights how ridiculous it is. Let us all know how your health fairs after you decide to ‘not fear’ your skin malignancy and rather treat with ‘colonic hydrotherapy’ or other such treatments. I am sure the end result will be quite upsetting. The important point here is that if someone with an actual medical degree gave this type of advice, their license would be revoked for malpractice. Only individuals who have NO MEDICAL DEGREE and thus NO FEAR OF LAWSUIT can make these types of claims. Someday, GNM will be taught in medical schools because it is biological – it is not theoretical. I don’t, however, know if it will be in my lifetime! Oh, yes, Nicaragua and Slovakia. I’ve heard they are the leaders of scientific innovation. Hamer´s licence was revoked in 1986. And guess what? He said there was a Jewish conspiracy behind the loss of his licence and all his legal problems. It could be possible or might not be. I simply take cure of my skin. I find this fascinating and am completely open to the concept. I wonder though how the concept of getting a cold or the flu from a virus is explained…as it goes through your whole house or through a school. Also, if you have a cancerous tumor, how is it that the “healing process” can kill you? Is it only cured if you change what caused it? This information is completely dangerous and creates a whole set of biases within the public when it comes to trusting their doctors to advise them when they need medical interventions. How, exactly, do you explain cancer in animal studies, then? Mice have no higher cognitive function, yet when they are exposed to pathogens or carcinogens they develop cancer. And before you call this an “attack,” there are control groups who are exposed to a placebo (an equivalent needle stick, etc) and do not develop any sort of disease. How do you discount this kind of science? I normally make it a point not to feed the trolls, but putting information like this out there as “scientific fact” is irresponsible. In no way have any of Hamer’s studies been corroborated by any other true scientists. In fact, to me Hamer sounds like an anti-Semitic, borderline paranoid schizophrenic. He has publicly blamed the Jews for preventing the spread of his theories in order to start the cull of the Gentile population. Oh, and he also believes the government inserts death chips into you along with vaccines, which the government uses to program your death. This is the guy whose medicine and research has been “biologically” proven?! THANK YOU! Oh my god, that guy is a nut job! Please people, don’t believe stuff just because you read a summary of it over the Internet. The facts are available for you to find if you’ll only put the effort in to look. of glutathione by the liver is critical. – People who are vegetarians and can’t find the proper sources to supplement their diet. assume you’re an expert in this subject. Well along with your permission let me to clutch your feed to keep up to date with approaching post. Balance, please! It’s good to be open minded but not so much that your brains fall out. There is much health value in excellent nutrition, but to say a malignant tumor is part of the healing process is open defiance to common sense. This is an excellent example of someone on the internet presenting pseudo- medical advice and people following instead of filtering out the obviously ridiculous and looking to real medical science that has countless credible studies as a foundation. My grandfather worked outside without sunscreen. He got skin cancer that got into his bloodstream to other organs and killed him. Tumors were not part of healing. My childhood best friend lost her leg to a sarcoma that spread to her lungs and took her life. Tumors were NOT part of healing. They were not caused by a verbal attack or by being soiled. How ignorant! I imagine if you had closely witnessed a battle with cancer that cancer won, you’d be more careful about making absurd claims. This is absolutely ridiculous. There are hundreds upon hundreds of primary research articles (those are, quantifiable, easy to replicate, statistically significant experiments peer reviewed and published for their findings) that show the links between UV exposure and damage/mutations to DNA. There are hundreds more showing that cancer is caused by a mutation in a cell’s genome that results in uncontrolled cellular reproduction. Toting these ideas around because of anecdotal evidence is not only an insult to real, quantifiable studies, but is dangerous and could result in the deaths of hundreds of people. PLEASE don’t buy into a theory just because it suits your personal experience. Go Google.scholar a few primary research articles on skin cancer, and then re-evaluate what media you’re choosing to believe in! If the doctor that started this scam of a science has really found some miracle explanation, then show us the scientific studies that quantifiably back it up! 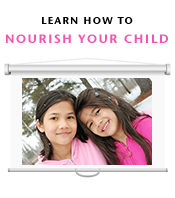 How do we nourish our babies? !